A deck can often become a focal point on a home exterior. Decks are used for beauty and entertaining purposes. You can choose from many styles and an array of quality building materials including LP Weather Best decking and railings, Trex Decking, and pressure treated wood. Decks can be painted or stained to suit your taste, and can be built with your idea of functionality in mind. At J&J Home Improvement, we provide homeowners with beautiful new features that elevate the aesthetic and financial value of their homes. Our service team consists of experienced contractors who take advantage of the industry’s best tools, equipment, and techniques to deliver superior deck construction in Plymouth County, MA, for our clients. By choosing us, you secure service from a company that’s been in business since 2000, with extensive experience providing professional-quality construction at affordable prices. Get your deck built by a team that brings you confidence and lasting value. Resilience is crucial to protecting the value of your deck investment. Our contractors utilize the best composite and natural materials to ensure the long-term viability of your new feature. We believe that our commitment to quality craftsmanship builds effective customer relationships better than anything else. In order to make the most of your new deck addition, we utilize Trex Decking and pressure-treated wood to give you an expanded living space that stands up to the wear and the elements. Our materials and techniques ensure that your deck provides you with a comfortable area to relax for years after the initial installation. Our goal is to provide you with a deck building and usage experience that you can enjoy without a hassle. In addition to durability, our decking gives you a feature that requires very little maintenance. 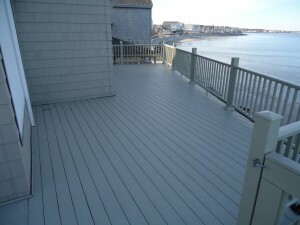 We want you to focus on enjoying your new deck, not scrubbing it clean or replacing pieces every time you turn around. 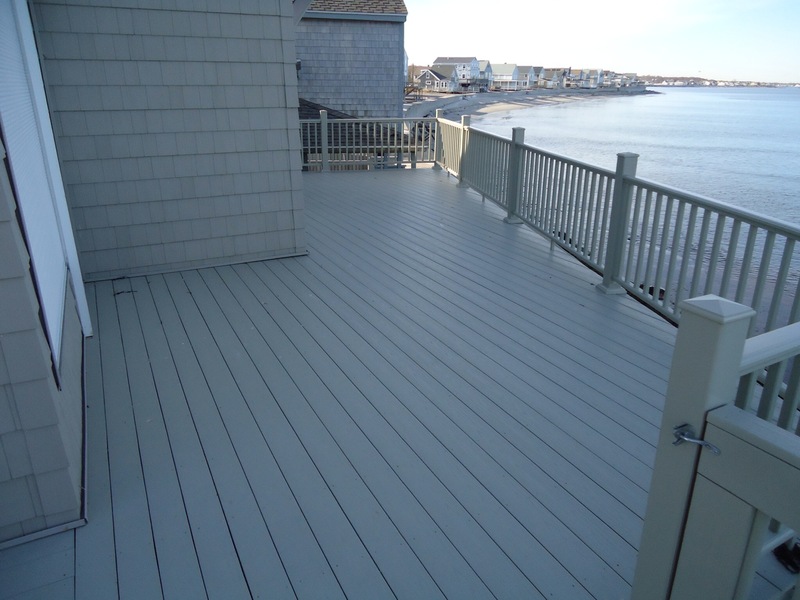 We also provide deck staining services in West Bridgewater, MA, so that you don’t have to worry about whether your deck looks out of place when you update the rest of your home’s exterior. When you want the best in resilience, convenience, and customization, give your home a worthwhile upgrade with a deck built by our team. For more information about the different brands and styles we carry, view our Product Information page, or give us a call to get the building process started for your new deck. We proudly serve West Bridgewater, MA, and the surrounding areas.